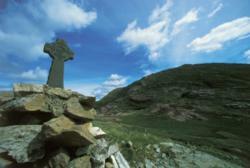 Celtic Tours World Vacations is pleased to announce Pilgrimage Packages to Ireland for the 50th International Eucharistic Congress in Dublin, Ireland from Sunday June 10 to the 17th, 2012. Once every 4 years, somewhere in the world over 500,000 people gather in a Eucharistic Congress to bear witness and promote an awareness of the central place of the Eucharist in the life and mission of the Catholic Church. This year, Dublin welcomes world-wide pilgrims to its emerald isles for 8 days of worship through mass, prayer and liturgical celebrations; film, music and theater, keynote addresses, workshops and discussion groups. International pilgrims from 5 continents are expected to join in the celebrations from June 10 ? 17, 2012. Presently parish communities, prayer groups, clergy members and individual pilgrims are gearing up to embark on this amazing journey of faith. Ireland is a prime spot for the 50th International Eucharistic Congress because of its well-established Christian faith, dating back to the 4th century when St. Patrick traveled throughout Ireland converting and instructing believers in the Christian faith. Religious Pilgrims will find centuries old monastic sites, high crosses, elevating cathedrals and highly illuminated monastic manuscripts giving a glimpse into how early Christians worshipped and announced their religious fervor. Celtic Tours World Vacations is pleased to present religious pilgrims with extraordinary group travel packages to experience the age old traditions and religious sites of Ireland in conjunction with the Eucharistic Congress. We are offering special rates on group tours with land only cost per person sharing starting at $ 1599 pps for 9 nights/10 days, $ 1399 pps for 8 nights/9 days and $ 1069 pps for 5 nights/6 days. All tours include most dinners, breakfast daily, full sightseeing, transfers and admissions. Special Itineraries can be tailored to suite. Self-drive and city stay rates are available. Airfare and departure taxes if required are additional and rates may vary with departure dates. Call our Group Specialists for more details 1-800-833-4373. We invite groups of travelers to join in the religious fervor and excitement of this once in a lifetime opportunity to explore the religious side of Ireland, join in the religious celebrations of the Eucharistic Congress and renew their faith. Join the journey. Denise King, known for her international musical travels reconnected after twelve years with pianist Olivier Hutman when he discovered her on Facebook. Hutman assured King that if she came to Paris he would enjoy collaborating and organizng live performances at clubs, festivals and concert halls across France, Belgium and Italy. He contacted Producer Fred Midgeon and together they recorded a new CD, entitled “No Tricks” on Cristal Records and she is currently writing lyrics for an upcoming project for Summer 2012. Living part of the year in Europe and the other on the east coast Denise is in high demand worldwide. She has shared the stages with many legends, from Butch Ballard, Arthur Harper, Sam Dougherty, Cecil Payne, Jymie Merritt, Bootsie Barnes, Lex Humphries,Phil Wright, Cecil McBee, Christian McBride,?Dexter Wansel,?Orrin Evans,?McCoy Tyner, Bobby Watson,?Lonnie Plaxico, Uri Caine, Sid Simmons, Dr. Guy Ramsey, J.D. Walter, Derrick Hodge, Chris Beck, Billy Paul, Jean Carne, Celine Dion, Bunny Sigler and more. Her sites are fixed on Jazz Festivals, Jazz Cruises and special events that bring her wide range of vocal stylings to her audience from Jazz to R&B. ?I am continually inspired how social networking can create unbelievable musical collaborations across the oceans. Denise King is a vocalist who is a vivid story-teller with melodic enhancements that captivates her listeners. She truly is what you call a ‘sanga” and is a force to be recognized in all jazz forums. Hutman cradles her artistry with a cohesive musical conversation that takes you on a journey that epitomizes the true art form of jazz? says Jaijai Jackson of The Jazz Network Worldwide. Olivier Hutman has an impressive career of his own, he has worked and recorded with many artists amongst which: Pepper Adams, Art Farmer, Clark Terry, Harry ??Sweets? Edison, James Moody, Michel Legrand, Dee Dee Bridgewater, Mark Murphy, Stephane Grapelli, Toots Thieleman, Gary Bartz, Junior Cook, Frank Wess, Clifford Jordan, Mundell Lowe, Teddy Edwards, David ?Fathead? Newman, Von Freeman, and Roy Hargrove. Using the medium of social networking has become a mainstay in the marketing of musical artists through technology today, this project is living proof of how successful a collaboration can be introduced through social media. It gives the opportunity for artists to be heard at a moments notice by the buyers of musical presentations. Be sure to come by The Jazz Network Worldwide at http://www.thejazznetworkworldwide.com to take a listen to Denise King and Olivier Hutman as they travel through space and time together. To learn more go to http://www.denisekingsings.com as well as http://www.olivierhutman.com. Christian recording artist Brett Rush, a praise and worship leader from Pennsylvania, was recently interviewed by Mark Weber of ChristianMusicMonthly.com, an international website devoted to Christian and gospel music, and Christian Music Monthly, an accompanying e-zine. With a focus on “artists you know and want to know more about,” Christian Music Monthly, which operates out of Buffalo, New York, as both a website and an e-zine, covers Christian and gospel music’s most popular stars, including Michael W. Smith, Amy Grant, MercyMe, Jeremy Camp, Kirk Franklin, Nicole C. Mullen, Third Day, Jars Of Clay and others with sales in the millions. It also features up-and-comers and indies, like Brett Rush, providing readers with news and views about a truly wide variety of recording artists. Christian Music Monthly started out as “Zeebozine,” with 50 subscribers in 2001. Five years later, the e-zine, renamed Christian Music Monthly, counts over 2,300 subscribers from the U.S., Canada, and many other countries all over the world. Christian Music Monthly is currently being promoted on radio stations across the U.S. and in Canada. Christian Music Monthly is supported by paid advertising. It’s also linked to www.cafepress.com/jesusrocks716, where “Jesus Rocks” buttons, stickers and t-shirts are selling well. To read the latest issue(s) of Christian Music Monthly, the ezine, go to www.christianmusicmonthly.com and click on the appropriate link. In addition to the interview with Brett Rush, the website also features several other interview links with artists like Tree63, BarlowGirl, Nicole C. Mullen, Jonah33, John Tesh, and Martha Munizzi. Christian recording artist Erin Hutchison was recently interviewed by Mark Weber of ChristianMusicMonthly.com, an international website devoted to Christian and gospel music, and Christian Music Monthly, an accompanying e-zine. With a focus on “artists you know and want to know more about,” Christian Music Monthly, which operates out of Buffalo, New York, as both a website and an e-zine, covers Christian and gospel music’s most popular stars, including Michael W. Smith, Amy Grant, MercyMe, Jeremy Camp, Kirk Franklin, Nicole C. Mullen, Third Day, Jars Of Clay and others with sales in the millions. It also features up-and-comers and indies, like Erin Hutchison, providing readers with news and views about a truly wide variety of recording artists. Christian Music Monthly started out as “Zeebozine,” with 50 subscribers in 2001. Five years later, the e-zine, renamed Christian Music Monthly, counts over 2,300 subscribers from the U.S., Canada, and many other countries all over the world. To read the latest issue(s) of Christian Music Monthly, the ezine, go to www.christianmusicmonthly.com and click on the appropriate link. In addition to the interview with Erin Hutchison, the website also features several other interview links with artists like Tree63, BarlowGirl, Nicole C. Mullen, Jonah33, John Tesh, and Martha Munizzi. CNTNewswire is a new press release and distribution service for the online Christian community. We have found so many Christian ministries, companies, and mission organizations…have excellent Christian events, festivals, movies, cds, books,news stories, and very few Christians have even heard about them. ChristianNewsToday.com and CNTNewswire Service is plugged into a network of Christian media news services around the world. If we have not heard about your new Christian event, festival, movie, cd, book, or news story…you really need to take a look at how you are reaching out to the masses of people around the world through the media. CNTNewswire has an exclusive database of opt-in (subscribing) Christian radio stations, Christian TV stations, Christian producers, Christian editors and journalists. Other press release services might spam media outlets with unsolicited emails. But, our media contacts asked us to send them press releases for interviews and news stories. When you purchase CNTNewswire Platinum Distribution Package you also purchase distribution services with two other major press services. We will distribute your press release through Emailwire Service and Assist News Service in order for your press release to reach the desk top of thousands of Christian media contacts around the world. You will purchase three major press services in one…when you order our Platinum Distribution Package! Yahoo News, Google News, MSN News, Lycos News, Alta Vista News, Moreover, AlltheWeb News. ABC News, Agence France Presse, BBC News, Bloomberg, CBS News, CNBC, CNN, Copley News Service, Cox News Service, Dow Jones News Service, Fox News, Gannett News Service, USA Today, Knight Ridder, Los Angeles Times, MSNBC, Reuters, Scripps-Howard News Service, States News Service, The New York Times, Washington Post News Service. When we distribute your press release with our Platinum Distribution Package to major news media, the same press release is also published or linked to 85 news sites, search engines and RSS feeds. Our press release service starts at just $ 49.00 and you can purchase our services online with a major credit card. Let our professioanl staff of Christian journalist help you today! As increasing number of families around the world turn to spiritually challenged books like Da Vinci Code and Harry Porter, the August 4-6 2006 Christian Book Fair International in Dubuque Iowa is set to honor secular and religious books that are Christian family friendly, according to organizers Family Reading Ministries, Inc. Iowa. “Five books by author-exhibitors that we adjudge to be Christian family friendly would be recognized with our Family Friendly Book Awards,” notes Rev. C.P. Eze, founder and president of the non-profit organization established to help Christian families make the right choices of books to read. Featured speakers at this year’s book fair on the theme Shaping Families One Book At A Time include 27-year-old Detroit Michigan-based newspaper editor and “Ignoring The Underprivileged” author Bankole Thompson known for his audience rousing speeches. Christian Book Fair International (formerly Mid-Western Christian Book Fair) is an annual non-denominational literary event, which brings together Christians who have written good secular and Christian-themed books, publishers and printers of such books written by Christians, sellers and creators of Christian games, gift items and book production and marketing technologies as well as book marketing experts, literary agents and ministries promoting Christian family reading. At the 2005 event in Iowa City, exhibitors came from all parts of the US as well as countries like Canada, United Kingdom, India and Croatia in Eastern Europe. For more information or to register for the event, please visit event website, www.christian-book-fair.com or call Shanita Michelle at 3193519695.